Meredith Etc – Official Site…Order books…Publish with us! Odyssey Hardcover $21.00 + shipping = $26.00 paypal.me/MeredithEtc BUY NOW! Nashida: Visits the Mississippi State Capitol, Moses Meredith Cultural Arts Book Series Vol. 2 — live 08/18/2017 https://www.amazon.com/Nashida-Mississippi-Meredith-Cultural-Childrens/dp/1974651045/ softcover&nbsp;$9.99. WELCOME! to a site where you can READ YOURSELF HAPPY! Buy books with debit/credit cards now. ORDER print books or e-books NOW! The New Populist Party Hardcover book $16.99 + shipping = $23.00 paypal.me/MeredithEtc BUY NOW! Shipping is required if the book has to be mailed. Meredith Etc is a small press, and an online Mississippi vendor which primarily publishes autobiographies, biographies, memoirs, books of poetry, and short story anthologies. Other genres are selected on a case by case basic. Authors should refer to the Author Submission Guidelines for more details. Meredith Etc titles present readers with stories about current, charged, and historical issues, and books about fascinating and timeless characters. Woman Preach by the late Rev. Dr. Louis Blake Hathorn was released June 14, 2017. Meredith Coleman McGee, Acquisition Editor/Publisher, was formerly the acquisition editor of Mose Dantzler Press which published Married to Sin, a memoir and Casada al Pecado, the Spanish translation which McGee co-authored with Darlene D. Collier. Meredith Etc published Odyssey, a collection of poems and other writings by Meredith Coleman McGee and Reverse Guilty Plea, a novella by William Trest, Jr. November 25, 2013. Starkishia: Estrella, a memoir by Starkishia was released May 18, 2014; and Southern Jewel: The Elements Within, adult poetry by Ty A. Patterson was published August 15, 2014. Everlasting Love Poems by Dr. Rhemalyn Lewis-Williams, Saving the Manatees by JaNiya Williams, illustrated by Calla Ridgeway, and Social Justice and Christianity by Rev. Dr. Louis Hathorn were released in 2015. Five books were released in 2016: Tragedy, Yet, Triumphant, illustrated poems and short stories; a children’s book, Nashida: Visits the Smith Robertson Museum by Meredith Coleman McGee; a crime/murder mystery Death By Association by Anthony Ellis; a biography My Brother Bo: Addicted in Paradise by Richard Hulse; and a memoir Mary’s Story & Song by Mary Haralson Coleman with Starkishia. Two books were released in August of 2017: Nashida: Visits the Smith Robertson Museum (Volume 2 of the Moses Meredith Cultural Arts Book Series) by Meredith Coleman McGee and The Southern Phoenix by Rosemary Jenkins (historical fiction). The New Populist Party, a novella, by William Trest Jr. was released in March of 2018. The 2nd edition of Odyssey by Meredith Coleman McGee was released July 2, 2018. Juvenile Offender: From Big Wheels to the Big House, an anthology of writings, edited and written by Rosemary Jenkins, was released in August of 2018. Visit each book page for more information http://meredithetc.com/book-pages/ or click on the links via this page to buy and or download books now. Each author will appreciate you sharing your views on their book pages. Woman Preach is a study about women’s struggle to advance from the church pews into the pulpit. Ilustrated poems, prose, and short stories. Nashida is introduced to Richard Wright, Medgar Evers, James Meredith, Fannie Lou Hamer, the Transatlantic Slave Trade, Jim Crow, and much more. This memoir covers the Great Depression, Jim Crow, and the Civil Rights era. Mary Haralson Coleman advanced from poverty into mainstream American life; she also is a Mississippi history maker. A crime/murder mystery. The story is set in a correctional facility and in various locations in Memphis, TN. This collection of poems will enhance the spread of optimistic ideas, and embolden the lives of lovable beings. 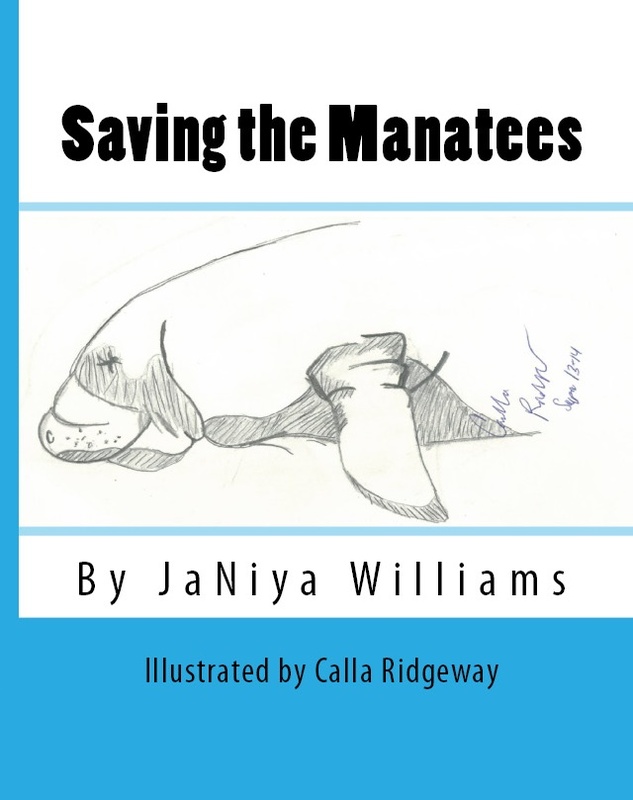 Saving the Manatees, is a children’s story book by nine year old JaNiya Williams which was illustrated by her 14 year old Cousin Calla Ridgeway. Children will learn about the Manatee, a gentle giant of the sea. Cursive writing activities included. Social Change and Christianity, a history book which explores the impact leaders of the cloth have had on Social Issues in the Americas historically and today by Rev. Dr. Louis B. Hathorn. 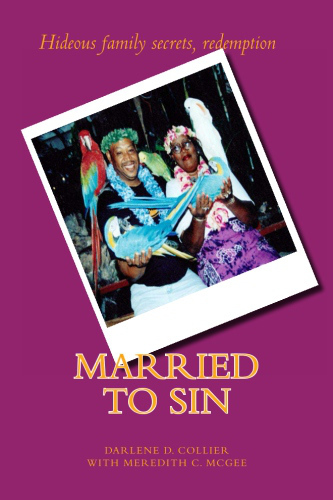 Married to Sin is a tell all memoir about Darlene D. Collier with Meredith Coleman McGee. 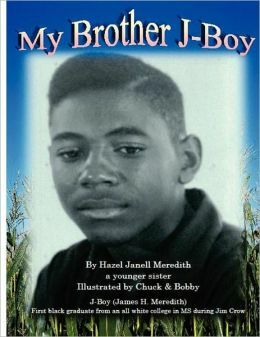 A children’s book about growing up on a farm in rural Attala, County Mississippi during the Jim Crow south by Hazel Janell Meredith, the younger sister of James Meredith. Cover picture – James Meredith 1949-50 school picture. Homework assignment and autographed Certificate of Completion by the author and Mr. Meredith. cover pic. James Meredith 1949-1950 school pic. Reverse Guilty Plea by William Trest Jr.
A novella about a fierce family feud which lands one child in jail deeming the other the sole heir of the family business and estate. BUY NOW https://www.paypal.com/cgibin/webscrcmd=_s-xclick&hosted_button_id=JRRDKAALEMRV2 $6.34 we will email the MP3 file or mail a CD. 59 minutes. Reverse Gulity Plea AUDIO BOOK Read by William E. McGee III. by James H. Meredith with William Doyle http://amzn.to/2pWWKIs buy on Amazon now! 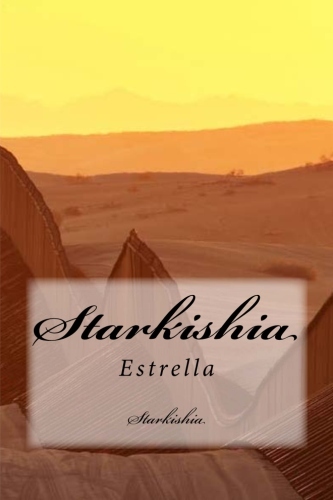 Starkishia:Estrella is an excellent book that should be mandatory reading for anyone who works with the poor. It is a gripping, moving memoir that takes you on a fast ride that leaves you breathless with despair and then hope. Thanks Dr. Barlow for your support and views. This book is a must read!!! Definitely a page turner.A true story of a dysfunctional family and the girl now woman who conquered it.All women young and old can and will benefit from my neice’s incredible story of resiliency.A real tear jerker.So proud of you Starkishia!!!!! Enjoyed Meredith Etc’s Christmas and Award Dinner. Intelligent groups of authors. Starkishia is the co-host for the Wednesday, January 7, 2015 edition of ‘Off the Shelf.’ Listen to the first show of the 2015 year at 11 a.m. Starkishia’s autobiography is a page-turner that will have you spell-bound. Your emotions will run from one end of the spectrum to the other. We see Starkishia as a girl you want to take into your home and parent. When it’s all over, you will shout the victory because Starkishia comes out, still standing, still strong.Starkishia has been busy since we first met. She’s been on the Lady Walker television show (it can be found on YouTube), her book is appearing in libraries, and she will lecture on modern social issues at Jackson State University later this month. We are LIVE at http://www.wdsv919.com. WDSV 91.9 FM. YOUR community radio station. Listen and love it! I had read a little from the advertising of the book and decided it would be a great gift for my husband who’s a truck driver he had heard about this gentleman James Meredith from the radio broadcast show, Joe Madison show called “The Black Eagle.” My husband said the complete book is great yet 1 chapter stays with him it’s called “Fruits of Change” reading and observing the picture of so many people marching approaching the Mississippi State Capitol on June.26,1966 to know that he knew Martin Luther King and was concidered a black power advocate by some is great..politics is where my husband mind dwells. Continue to tell others about your uncle mission on this here earth we all have one yet some can’t see theirs due to the lack of knowledge,confusion,or being trouble minded. 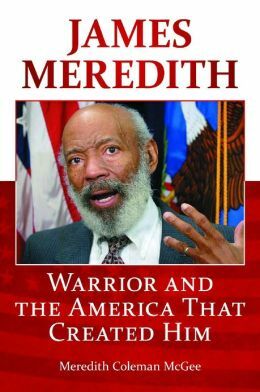 Thank you for your kind review of James Meredith: Warrior and the America that created him. It was wonderful reading and seeing the pictures with last week’s article…Jackson Advocate “A Mississippi Icon’s family tradition. In fact I enjoyed your others articles from time to time. Keep up your good works. Thank you so much Ms. Melba. It means so much to hear from someone who reads my work. I am encouraged! Ms. Carol, thank you for your positive response. Your enthusiasm is encouraging. Please tell others about our books. We are trying to get them in classrooms. I added “My Brother J-Boy” to the home page too. who has shared this impressive article here. Thank you for your positive view of our site. 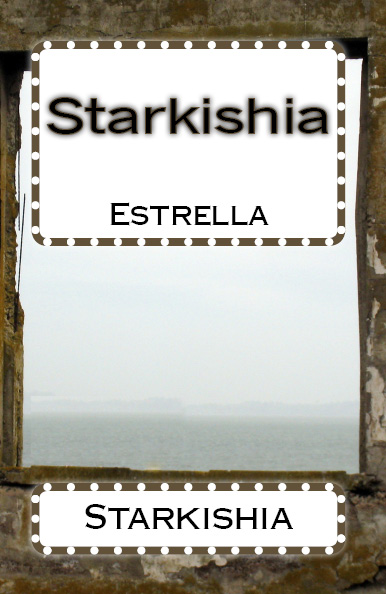 “Meredith Etc turned my dream of becoming a published author into a reality,” Starkishia, Author, Starkishia: Estrella. Nashida’s parents read books to her. She helped her grandfather dry and put away the breakfast dishes. Nashida is obedient. Nashida loves learning. Nashida’s character is a bright child who is a great example to young readers on many levels. 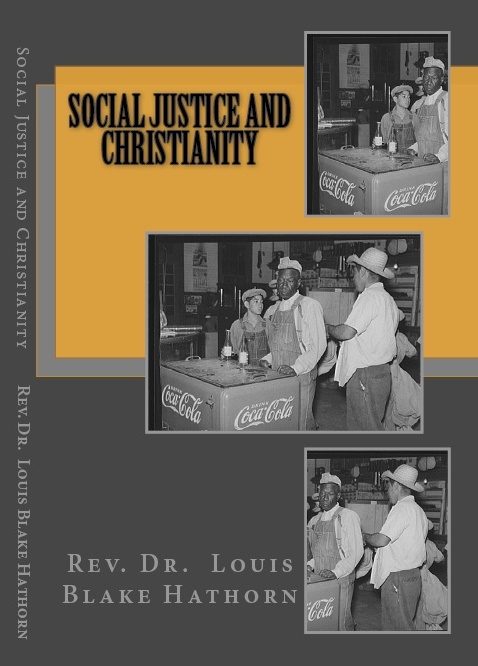 The Mississippi Department of Archives and History (MDAH) accepted the following books: “Mary’s Story & Song” by Mary Haralson Coleman with Starkishia; “Social Justice and Christianity” by Rev. Dr. Louis Blake Hathorn; “My Brother J-Boy” by Hazel Janell Meredith; “Saving the Manatees” by JaNiya Wiliams, illustrated by Calla Ridgeway; and “Nashida: Visits the Smith Robertson Museum,” “James Meredith: Warrior and the America that created him” and “Odyssey” by Meredith Coleman McGee to preserve as archival resources. MDAH, headquartered in the William F. Winter Archives and History Building on North Street near the Old Capitol Museum, was established in 1902. Visitors from around the world visit the MDAH to conduct research on Mississippi history. We’re proud the works listed above have become a part of the State’s permanent collections. I appreciate the work Mrs. Meredith has done on my resume. It was professionaly done, and just the way I wanted it done. Thank you so much for your review. All the best to you and your career.